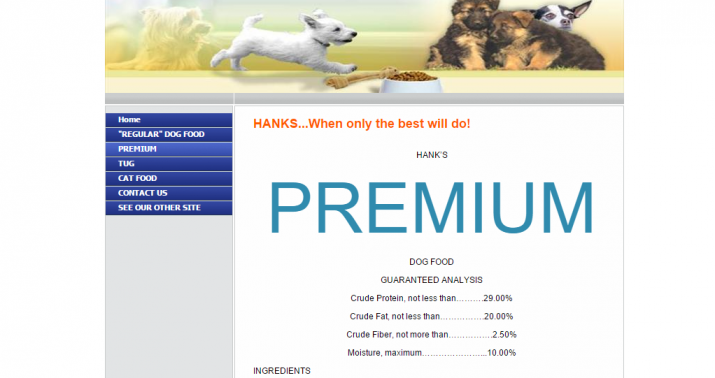 Hank’s Dog Food receives the Advisor’s second-lowest tier rating of 2 stars. Note that Dog Food Advisor does not conduct analytical testing of the actual composition of the dog food product. Rather, their ratings are based on the claimed ingredients on the label. The Hank’s Dog Food product line includes three dry recipes.